Whose president is it anyway? THIS week will bring some important articles about the EPO, which is desperately trying to avoid negative publicity. Seeing what happened to FIFA and Volkswagen in Germany sure is a strong motivator. We wish to warn everyone that the EPO will bring us software patents if it carries on in this current trajectory . Recent articles like the USPTO‘s “USPTO Advances Cooperation with Foreign IP Leaders” and the EPO’s “EPO and USPTO renew their commitment to joint classification scheme” show an ambition which we warned about on numerous occasions half a decade ago, aided by Wikileaks and relating to what was known at the time as Europe's patent "harmonisation" or Community Patent (now it’s known as UPC, as the names continue to change so as to evade negative publicity). Sadly, the EPO goes down the same path as the world’s most notorious systems. Under Battistelli’s regime it is happy season for the bogus ‘invnstors’. His regime, which only strives to maximise profit, made it implicitly clear that the EPO invites yet more crappy applications (pushing quality down), so more people submit applications and the regime celebrates this, as it this is a “success”. Remember that this is the regime which is now willing to grant patents on life, just like the USPTO (see the article “EPO Backs Patents On Conventional Plants: Broccoli, Tomato Cases Decided”, composed by the Switzerland-based IP Watch). “What we have right now is a Trojan horse right at the very heart of Europe, flagrantly breaking laws (because it claims immunity from them, like the Mafia) and serving large foreign corporations as a matter of priority.”If the EPO already follows USPTO when it comes to patenting life, then why not algorithms too? Or sandwich-making? Cui bono? Battistelli and the large corporations whom he evidently serves as a matter of priority, even if these corporations are not at all European. 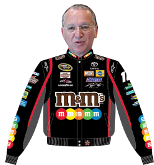 Battistelli does not want to hear criticism, so he has launched a new, vicious war against the messengers. The “EPO [is] Still In Turmoil,” wrote IP Watch several days ago, “As Supervisory Body Backs Dismissal Of High-Level Staff” (those who 'dare' not to agree with Battistelli's horrible plan and poor vision for the EPO). Earlier this year IP Watch published the article “European Patent Office Tapped Computers”. Yes, even China would be envious of such repressive measures. How is the German political intervention into EPO abuses coming along? There was supposed to be a word about it at the end of September. No word though. What happened to the investigation? Was it politically thwarted? Will the police ever get involved? We quite frankly doubt it because people in power tend to protect other people in power. Actions must therefore come from below. Europe would be far better off if the thugs who run the EPO were exiled to Sardinia or Corsica. What we have right now is a Trojan horse right at the very heart of Europe, flagrantly breaking laws (because it claims immunity from them, like the Mafia) and serving large foreign corporations as a matter of priority. This cannot be allowed to go on and even staff of the EPO knows this.